HAVANA, Dec 5 2013 (IPS) - Nature reserves act as a safe deposit box for biodiversity and contribute to adaptation to climate change. But in a country like Cuba, plagued by a chronic economic crisis, efforts to increase the number of protected areas go largely unnoticed. But “the varied and complex role played by protected areas in curbing global warming is not very well-known,” said Quirós, a researcher with the Centre for Environmental Studies and Services, a government institution. According to Quirós, each protected area helps curb climate changes that are already being seen, such as higher temperatures, a rise in sea level, and unprecedented meteorological events like Hurricane Sandy, which wrought havoc in the east of Cuba, other Caribbean nations and the U.S. northeast in October 2012. Nature reserves “containing large forests contribute to stabilising average rainfall and temperatures,” the scientist said. “Climate factors are going to be extreme,” he added. Cuba’s investment in protecting the environment rose from 278 million dollars in 2007 to 488 million dollars in 2012. But lack of funding is a constant headache for the teams in charge of the protected areas. The clean-up efforts and monitoring and surveillance to prevent poaching in the Sur Batabanó Wildlife Refuge are new for Dielegne Quiñones, the representative of the Ministry of Science, Technology and the Environment in the municipality of Batabanó in southwest Cuba. “Through school we do clean-up work and we have participated in educational talks in the nearby neighbourhoods, to get people to take care of nature,” she told IPS. Carlos Alberto Martínez, a young biologist who oversees the Los Mogotes de Jumagua park in the western province of Villa Clara, said the protected areas must urgently be adapted to climate change. “There is a lot to do, such as strengthening the forests, especially the mangroves, which protect the coasts,” he told IPS. Martínez explained that the park, where eight upper cretaceous formations are preserved, generates some funds of its own from visits by members of neighbouring communities to the ecotourism hiking trails and from sales of yagua, a fibrous tissue from the wood of the royal palm that is used to pack tobacco leaves. In other protected areas, selective logging is carried out and the wood is sold, as one way to raise funds, he added. Cuba created 23 new nature reserves in 2012, which means 18.3 percent of the country’s 109,884-sq-km territory is now protected. The National Centre for Protected Areas (CNAP) hopes to increase that proportion to 24.4 percent with a total of 253 areas, including the insular shelf up to 200 metres deep, under some kind of protection. This Caribbean archipelago is made up of the main island, Cuba, the much smaller Juventud island and dozens of islets and keys. The proportion of protected territory in this island nation with a large number of endemic species has grown fast in the last few years. The number of nature reserves rose from 35 in 2007 to 80 in 2011 and 103 in 2012, according to the national statistics office. In addition, the CNAP has identified another 150 land and marine nature areas of great local significance, which are awaiting approval by the Council of Ministers Executive Committee to be included in one of the various categories of protection. A recent study found 2,178 “irreplaceable” protected ecosystems around the world, and 192 proposed new sites, essential to the survival of threatened species. The study carried out by scientists from the International Union for the Conservation of Nature (IUCN) and other international conservation organizations, published in the U.S. journal Science in November, identified 78 sites in 34 countries as “exceptionally irreplaceable,” out of 173,000 terrestrial protected areas looked at by the researchers. These 78 sites – 38 of which are in Latin America and the Caribbean – are home to more than 600 birds, amphibians and mammals, half of which are globally threatened, and many of which cannot be found anywhere else, the study said. 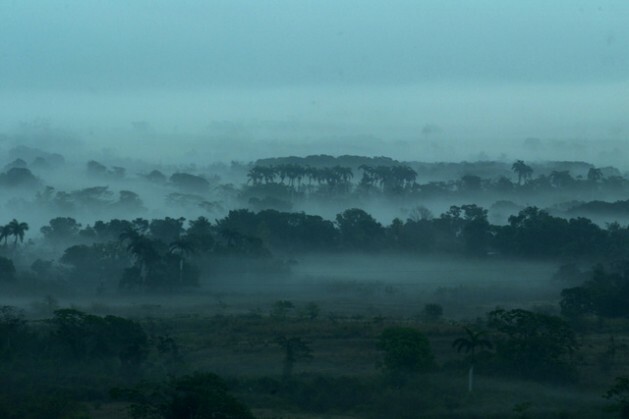 The national parks of Sierra Nevada (Colombia), Manu (Peru), Canaima (Venezuela), Galápagos Islands (Ecuador) and Ciénaga de Zapata swamp (Cuba) are some of the irreplaceable habitats listed by the study, which drew on the IUCN Red List of Threatened Species and World Database on Protected Areas. In the last two decades, the environment has received little attention in the countries of Latin America and the Caribbean, according to the 2012 edition of the Social Panorama of Latin America. On average, countries in the region dedicated only 0.2 percent of public expenditure to environmental activities, sanitation, housing and drinking water, according to the report, published by the Economic Commission for Latin America and the Caribbean (ECLAC). In Cuba, the administration of the Los Caimanes National Park, a mainly marine park located on the coast between the provinces of Villa Clara and Ciego de Ávila, has turned to community work to help raise badly needed funds. But raising environmental awareness among the local populations of protected areas is a long-term task, María Elena Chirino, 69, commented to IPS. She has lived her whole life in Ciénaga de Zapata, a biosphere reserve and the largest wetlands in the Caribbean islands, located in southwest Cuba. “When I was little, we would kill birds, for example. But we weren’t really taught not to do so. Now people have a better idea of the importance of what surrounds us, but there’s still a long way to go,” Chirino said.